1. Clear land around the house of excess trees and ground vegetation; a minimum 30 foot clear or "defensible space" around structures, consisting of maintained and watered lawn, pruned shrubs and trees can help mitigate the spread of wildland fires to buildings. 2. Replace combustible roofs and other building materials with non-combustibles; store other combustible such as firewood away from your house. 3. Maintain adequate access roads and driveways and remove overgrowth and flammable vegetation immediately adjacent to the traveled roadway. 4. Have your address posted and visible at the intersection of your driveway and the county road. 5. Provide a reliable water supply. 6. Develop a fire safety plan for your home and your family. 7. Respect the danger of fire in wildland areas by learning more about wildland fires and BE PREPARED. If you start a wildland fire, you may be responsible for paying for the cost of extinguishing that fire. For further information on fire safety, you can contact the local Fire District, Franklin County Planning and Building Departments, the Public Works Department and the Washington State Department of Natural Resources. 4.2 - Steep slopes can slide in unusually wet weather. Large rocks can also roll down steep slopes and present a great danger to people and property. 4.3 - Expansive soils can buckle concrete foundations and twist steel I-beams. You can determine the soil conditions on your property if you have a soil test performed or consult a soil classification map. 4.4 - North facing slopes or canyons rarely see direct sunlight in the winter. There is a possibility that snow will accumulate and not melt throughout the winter. 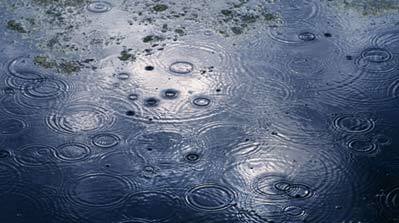 4.5 - The topography of the land will tell you where water will go in the case of heavy precipitation. Pay close attention to these areas in order to determine how water will flow on your land and develop your land accordingly. 4.6 - A flash flood may occur, especially during the summer months, and turn a dry gully into a river. It is wise to take this possibility into consideration when building. You need to ask if your property is in a flood zone. If it is, construct your home and outbuildings above the flooded areas. 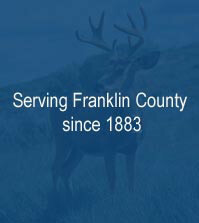 Construction in frequently flooded areas is regulated by the Franklin County Planning Department. 4.7 - Winter and spring run-off can cause a very small creek or become a major river. Many residents use sand bags to protect their homes. The County does not provide sand, sandbags, equipment, or people to protect private property from flooding. 4.8 - Nature can provide you with some wonderful neighbors. Most, such as deer and eagles, are positive additions to the environment. However, even "harmless" animals like deer can cross the road unexpectedly and cause traffic accidents. Rural development often encroaches on the traditional habitat of coyotes, rattlesnakes, raccoons, skunks, porcupines, mice, mosquitoes, ticks, and other animals that can be dangerous or become a nuisance. You need to know how to deal with them safely and effectively. In general, it is best to enjoy wildlife from a distance. Let the animals be themselves, watch them, but avoid chasing them or allowing your pets to do so. Also know that if you do not handle your pet refuse and trash properly, it could cause problems for you and the wildlife. The Washington State Department of Fish and Wildlife and the Benton-Franklin Health District are two good sources for information. They have many free publications to help educate you about rural living. 4.9 - Many areas in the County are open for hunting. Hunting, while providing recreational opportunities, is a tool for managing wildlife populations. It also involves individuals who may trespass, litter, and fire guns. Don't automatically assume that your property is in a shooting or no shooting zone. No shooting zones are designated by the Sheriff's Department.